Work Christmas parties are seldom a stress-free occasion. With the ever-mounting deadlines and extra duties associated with the silly season, it can be hard to find a few hours for the entire office to disappear for the annual Christmas luncheon. 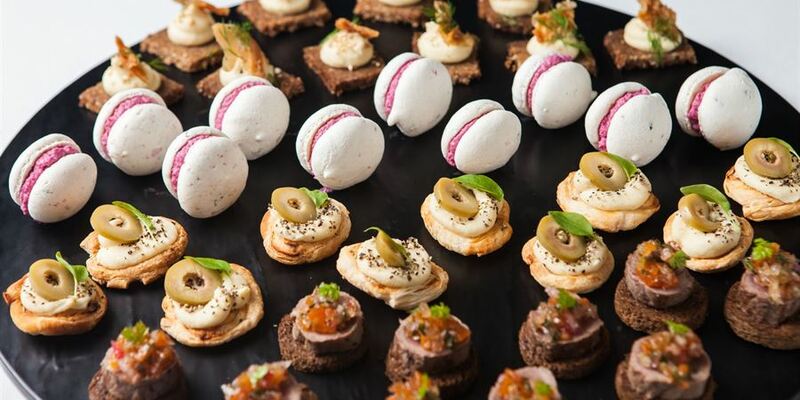 No-one should ever have to choose between hors d’oeuvres and deadlines, so Brisbane’s premium catering service, Cuisine on Cue, has a solution. Say hello to the fully catered in-office Christmas party. Our delivery menu is available for last-minute Christmas parties and contains a selection of easy eats that can be delivered to your office or private location. Choose from a range of handcrafted canapés like pumpkin and piquillo and pepper frittatas and spinach and cheese strudel, delivered straight to your door. We’ll take care of the details so you can spend less time planning, and more time enjoying the festive seasons. 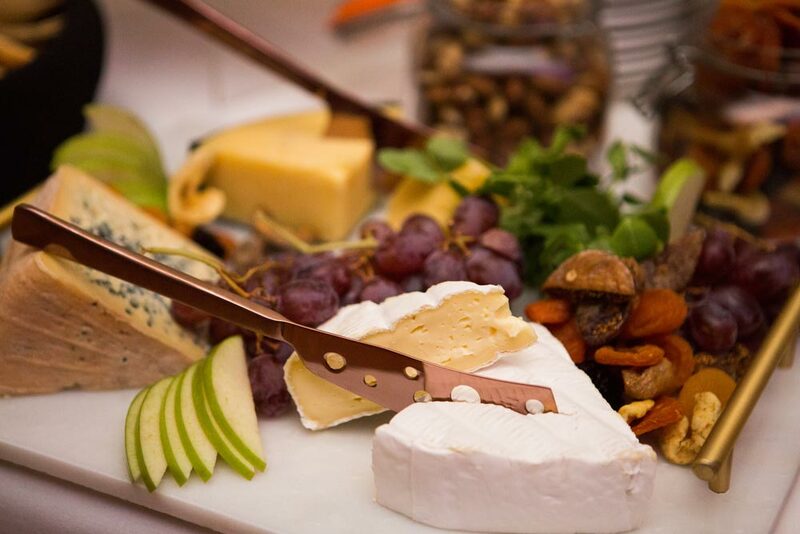 Everybody loves a cheese platter. Guaranteed to be a winner at any event, show your guest the true meaning of “sharing is caring” with our signature cheese and antipasto boxes. 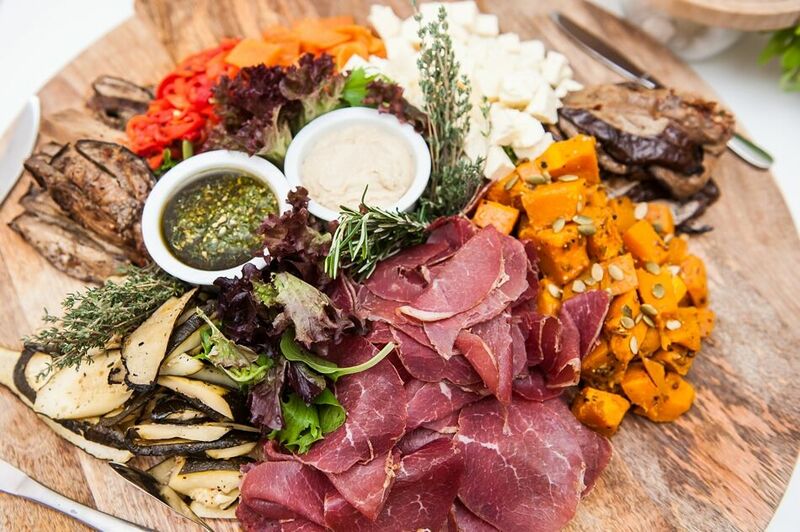 Choose from a range of premium Australian cheeses, dried fruit and lavosh, or go all out with our antipasto platters loaded with premium smoked salmon, salami, roasted peppers and olives. As one of Brisbane’s top catering companies, we can deliver catering for your last minute Christmas function whether it’s at your residence, office or private location. If you would like to enquire about Christmas catering, contact us.